Just a few days ago, we told you that Apple's developer site, used by registered members, had been hacked. Now, after a few days, Apple is beginning to turn the site back on after stating that the intruder might have obtained personal information from iOS and Mac OS developers. A Turkish security researcher, Ibrahim Balic, has taken credit for the attack. Balic claims that his goal was to prove that Apple was leaking information on the site. He claims that Apple shut the site after his attack found 13 bugs which he reported to Apple. After closing the site, Apple said that "we're completely overhauling our developer systems, updating our server software, and rebuilding our entire database." On Thursday, the tech titan said it had resumed iTunes Connect and Bug Reporter. Apple has created a status page so that developers can watch which functions are coming back on line. 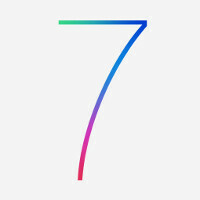 This is an important time for Apple to have the site up and running with its new iOS 7 expected to rollout in the not too distant future. The revamped UI removed the glossy, bright colors, replacing them with flat pastel shades. Gone are the skeumorphic icons like leather bound book covers and wooden shelves. Apple pulled a George W. Bush. They were warned multiple times with solid proof regarding the attack but chose to ignore it. Hm, that's quite funny because last that I remember, the videos I saw, showed that the Bush Administration planned those "terrorist attacks", as well as the Sandy Hook Shooting, and the Boston Bombings. Rethink what you commented and go and watch videos that expose the government. Sorry but conspiracy theories don't interest me. Hmm last i checked, Bill Clinton got warned but never relayed them to the bush administration after his time was over. you sir, are a cancer to your country. For a company that brags how much security they implement in their products, one would think they would do the same with their developers site, especially when it contains personal data.